Looking to save money? Tired of paying for channels, you don’t even watch? 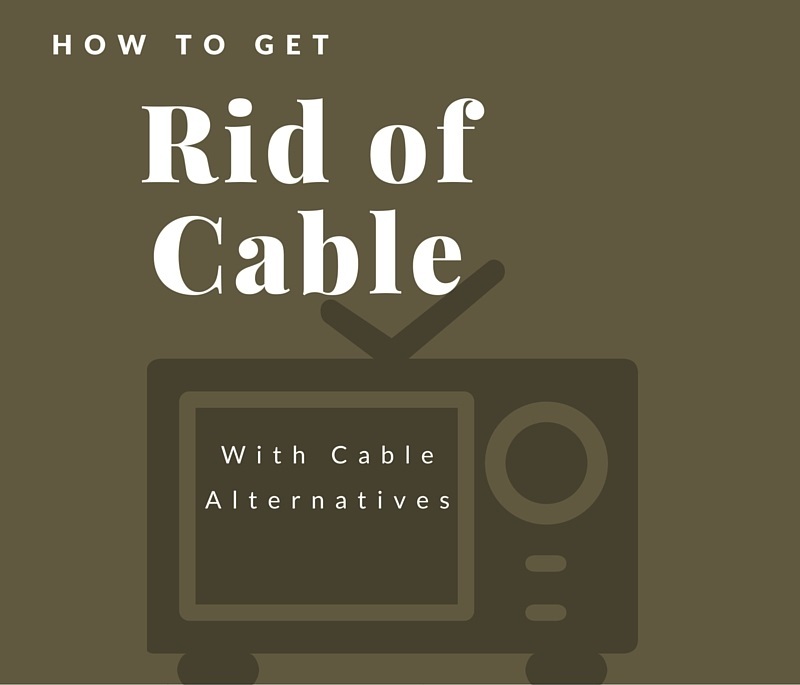 This post will help you get rid of cable and still watch TV and for a much lower price. If you tired of paying the Cable companies outrageous amounts of money for TV channels you don’t even watch then continue to read on. One way to start saving is by using Cable TV alternatives. You’ll be surprised at what programs and movies you can watch for substantial savings while trimming the fat (channels you don’t watch). My wife and I just bought a house two years ago, and we were now looking to save money. Two years with a mortgage payment does that to you. Well, we both grew up with no cable, just free TV through an antenna. But when we grew up, we both got hooked on Cable TV and couldn’t live without it. We are both TV addicts, I guess. We love watching all the good channels AMC, HBO, Showtime, etc., but just accepted the price and the corner that cable TV had put us in with the price it costs. There are some really great TV programs out there, Game of Thrones, Better Call Saul, The Walking Dead, etc. that we could not live without, but for most of the other channels we had that were unwatched and useless to us. I felt like Steve McQueen in the movie Papillon, in prison on an inescapable island trying to get free of the outrageous pricing of cable. We tried calling the Cable company and negotiating to have our bill lowered and even threaten to remove our service. We told them, what they already knew, we were loyal customers for over 19 years. That didn’t even make them blink. They told us basically, NO, to lower our bill, with a deal, contract, or whatever. We paid around $100.00, just for Cable, we also get HBO and Showtime included, FYI. So, over 19 years we paid about $22,800.00 just for cable. Oh My God, Becky!!! That much money really gets you thinking about how much cable TV is really worth to you. We knew something had to change and fast. We just didn’t know how to get rid of cable without getting rid of our favorite shows, and my wife was not compromising. Fear the wife, whos The Walking Dead show has been taken away from her. So, we started to look into other options, what blew both my mind and my wife’s mind was that millennials, for the most part, are not Cable TV or Satellite users! In this ever improving world of technologies, the younger generations are using different methods of getting their TV fix. It baffled us that there were other ways to get the programs you wanted other than Cable or Satellite and cheaper too. We must be aging dinosaurs in the realm of TV alternatives. A sure sign I am no longer young and on top of things. But I can learn, dammit! The reason is the arrival of new streaming services and devices and lower prices that come along with that. Cable and Satellite, your not the only game in town anymore. Be scared. We are exhausted from paying an outrageously high Cable bill every month, with no way of getting a discount from the Cable company. This got us exploring different methods and asking around to different people on what they use and pay. Couple this with a ton of research. We made the switch over and you can too! We cut the cable cord and kept our high-speed internet, which came bundled with cable TV. 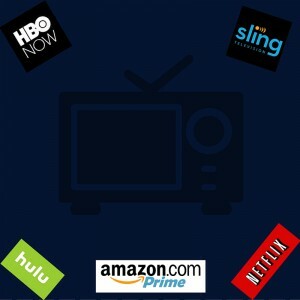 So, I will share and explore the many options I found and get you to cut the cord on Cable and enjoy the saving in return all the while still enjoying your favorite TV programs. Without, Compromising Content! It’s that easy! The first step is determining what programs you CAN’T LIVE WITHOUT. This will help with getting over the hump of getting rid of cable. Make a list of your favorite programs. Along with the TV station or service that is corresponding to the program. Determine the cost and compare to your current bill. Cutting out TV programs your willing to sacrifice that have terrible value for the price. What you’ll have left is your quintessential TV program list. Assess if you have the right equipment to view programs. (Streaming device, streaming services, smart TV). Calculate the price of all services and compare to old bill. Make needed cuts to save if needed. By far the cheapest way to get TV, short of stealing it from your neighbor, is to switch to the over-the-air broadcast television signals with an indoor or outdoor antenna. These radio waves are free for anyone with an antenna to watch. Old school style, baby. The greed of Cable companies have pushed the consumer back to reality, oh, there goes gravity… to antennas. Free TV is great. The masses are diverting down a path; right passed the Cable Guuuuyyy. 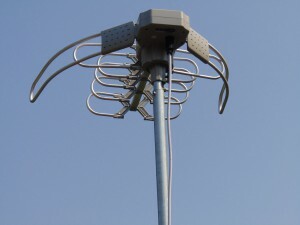 Antennas can be purchased to receive regular TV signal or HD TV signal. Many local provided channels can be watched with a simple antenna (rabbit ears), which depending on your area determines the number of channels you get and the amount of HD TV channels available. Usually, the urbaner the area, the more available TV programs from which to choose. The more rural, the less available TV programs to watch. You might be happy with what is available on over-the-air stations, but you also might be unhappy. Depends on your channel preference and TV programs preference. But it is an excellent way to add FREE programs to your TV viewing arsenal. The TV signal is free, but the antenna you might need to buy isn’t. There are all kinds of antenna available. They have ones you can mount in your house or outside or within your attic. Old school rabbit ears and weird shaped HD antennas able to pull in a signal 150 miles away. If this is going to be your only and primary source of TV, I suggest you get the best one you can afford. Expect to pay anywhere from $5.00 to $150.00. I highly recommend you check out the website AntennaWeb or TVFool. All you do is enter your zip code, and it will pull up a map and chart of available stations, with the distance to the transmitting towers included. So you can make an informed decision on an antenna purchase. Make sure the antenna you purchase can pull in the stations you need. The distance an antenna can pull in is usually within the description. So cross check this with AntennaWeb or TVFool to make sure you get stations you want. With streaming services, you sure can without feeling the hurt!!! We are in the 21st century, and along with this great time we live in, there are cable liberators, which is broadly called streaming services. You will need an internet connection to gain access to these streaming services. So, if you’re like me, I had the cable and internet through my Cable company. So I am kinda of consolidating the price and services by eliminating the cable TV portion of my services and using the internet to allow me access to the TV programs. It is redundancy! Isn’t it? Why pay for cable and internet, when I can get TV programs from the internet. This is the most powerful option and probably the best tool for eliminating a cable bill in my now cable hating opinion. You want options, not like cable where your options are limited. You will have the choice and make the decision to pay for what you want. You can cancel anytime (except for Amazon Prime). If you don’t like the streaming service, cancel it. Choose a different service. There are no contracts! Thank god. There are so many streaming services available, and more are available every day. From UFC FightPass to the Disney Channel, the options are limitless. Each one is varying on what the cost and what programming they supply. Do your research, and you will do fine. 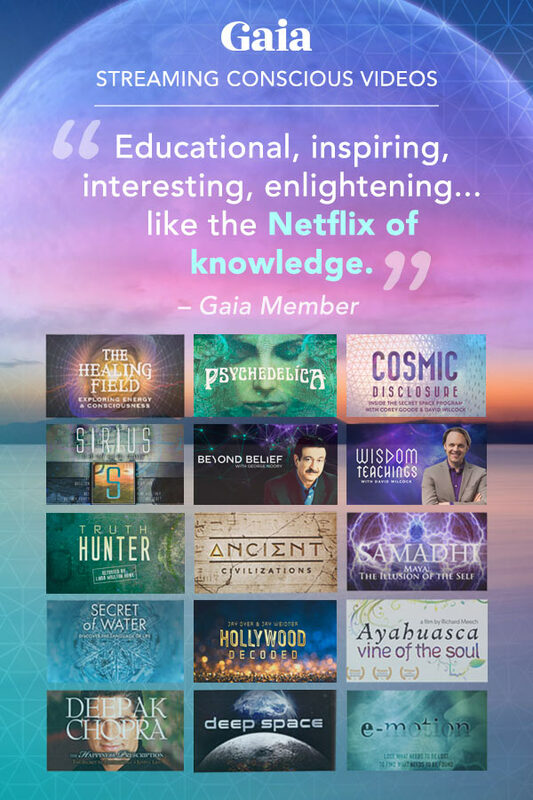 Gaia – $9.95 per month or $95.40 a year. Try Gaia Now! To help wade through the confusion of what service is hosting what program. There is an app called Yidio; it is available for iOS, Android, Kindle and Web apps. Yidio continuously monitors hundreds of streaming services like Netflix, Amazon, and Hulu to help find where you can watch that certain TV program or movie from. Yidio makes this easy! You first make a list of your favorite shows and movies. Then you can see if it is available for free or what streaming service you need. It also gives recommendations and alerts you to new episodes. Download it today! Netflix – This sucker, is the Titan amongst this band of media based content slingers. But by no means, does Netflix rules every category. Original content like Orange Is The New Black, House of Cards, Daredevil, Fuller House, Longmire, Sense8, Lilyhammer, Narcos, Bloodline and many many many many more. Their original content is good and extensive. Netflix = Bad Mofo in the world of documentaries. Where Netflix breaks down is for the availability of recent movies and for new TV series expect to wait at least a year to see it on here. Some movies are by mail only, extra money for this service. The beauty of Netflix is you can watch an entire season at once, binge watching. It’s a great way to watch a good series. Hulu – BEST For Current TV Shows. The best for Overall TV selection, in that you can get current TV shows, without waiting for the season to wrap up and end. The service enables you, to get to watch episodes of current TV without having to wait. If you can’t wait, get this. A great collection of classic movies. They have two packages to choose from, and the cheaper monthly service is $7.99, expect to watch commercials but less than normal TV, the other package is $11.99, and there are no commercials. Amazon Prime – Best place for recent Blockbuster movies, they have a decent set of original TV shows as well. Comparable to Hulu. They have a lot of the Star Trek series along with many new shows like Billions, Mad Dogs, Mr. Robot, Hand Of God, Goliath, and Mozart In The Jungle and many many more. With the purchase of Amazon Prime, you also receive other bonuses like free shipping on most products from Amazon and free streaming music. So this really makes it worth it! Sling TV – Probably the most whole Live TV replacement you can get online in one package. But…it doesn’t come ultra cheap. Try 20 smackaroos. Carrying these companies ESPN, AMC, HGTV, TNT, TBS, A&E, Cartoon Network, History, Disney channel, and more. With Sling, you are watching for the most part TV programming as it is broadcasted, not on demand. Some stations have it where you can go back three days to see what you missed and watch what you would like, but others like ESPN, AMC and others you can not. Depends on the channel. Expect to get the same normal cable TV or satellite commercials you have always gotten. HBO Now – Has many available recent blockbuster movies to watch and not just one of the best TV shows providers. A must-have in my opinion. With the mega-hit Game of Thrones, Silicon Valley, Real Time with Bill Maher, The Sopranos. HBO started and created truly great TV. Gaia – This is programming for your soul. You don’t have to feel even slightly guilty watching this type of TV. With programs that include Yoga, Meditation, pseudoscience, conspiracy theories and much much more. I haven’t found a program I haven’t loved yet. Some of the programs I really love are all the sheer vast yoga programs, Cosmic Disclosure, Wisdom Teachings, and I am still exploring and finding new programs to enjoy. In order for you to use streaming services, you need a streaming devices hardware. 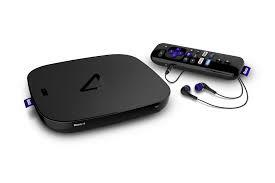 Streaming devices come in many different shapes and options. These allow you to watch streaming services on your TV. Each offers a varying amount of streaming services. I have an older Tivo, and it has Amazon, Hulu, YouTube and such, but cannot update to the newer streaming services offered. Which is a real bummer because I want, HBO Now. So, I must upgrade to a better device. You might not have to purchase anything at all. If you bought a TV within the last two years you probably already have a Smart TV and can access streaming services. So no need to buy anything else. I sprang for the Roku 4, and I love it. With over 2,500 selections and the ability for 4K resolution, it’s hard to beat. To boot it is also very user-friendly. I really like it. It’s a lot faster at pulling up the streaming services and loading the shows that our old Tivo did. It also has a cool feature where you press a button and talks into the remote, and it comes up on screen, a very handy feature. No more slowing typing what show you want, just speak the program or actors name and it pulls it up. I also like the ability to plug in headphones or earbuds to the remote for late night watching, without disturbing The Better Half. A great feature! If I were using an iPhone, I probably would have gone with the Apple TV 4th Gen as it would work seamlessly with the Apple TV. I was paying $100.00 a month for Cable. Which comes to $1200.00 a year. YIKES! I purchased a Winegard Flatwave Antenna for $31.95. Has a range of 35 miles. 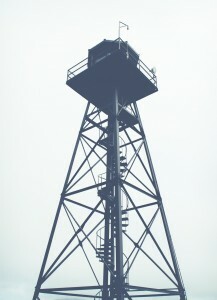 Enough range for me to get a signal from the closest tower. spent $160.67 on the Roku 4 streaming device and an antenna. This is a one time purchase and won’t have to purchase this ever again (I hope). For a total of $31.23 a month For a savings of $68.77 a month compared to the $100.00 cable bill. For the year I will pay $374.76 for a savings of $825.24 a year, compared to the $1200.00 with the cable company. Your results will vary depending on your programing needs, but this just goes to show you can save a lot of money. I really hope this has informed you and to get you motivated to save money by switching I hope you get rid of cable and still watch TV, enjoying your favorite programs. If you have any suggestions or comments please do so below. I will be more than happy to answer them. Thanks!